Dine in a casual setting, while enjoying views of what was once the parade ground of the original Fort Yellowstone. It’s also not uncommon to have front row views of grazing elk and bison from the windows of the Mammoth Hotel Dining Room. But the food is also something to look forward to, with our value priced “small plate” options including Bison Sliders, Wild Game Meatballs and Mini Trout Tacos. Breakfast is a la carte or buffet. In winter, wolf watching is immensely popular. If you’re heading out too early for a hot breakfast, we can set you up with a deli breakfast or deli lunch! You can also relive the day’s adventures with your friends in the quaint lounge located immediately adjacent to the dining room host stand. 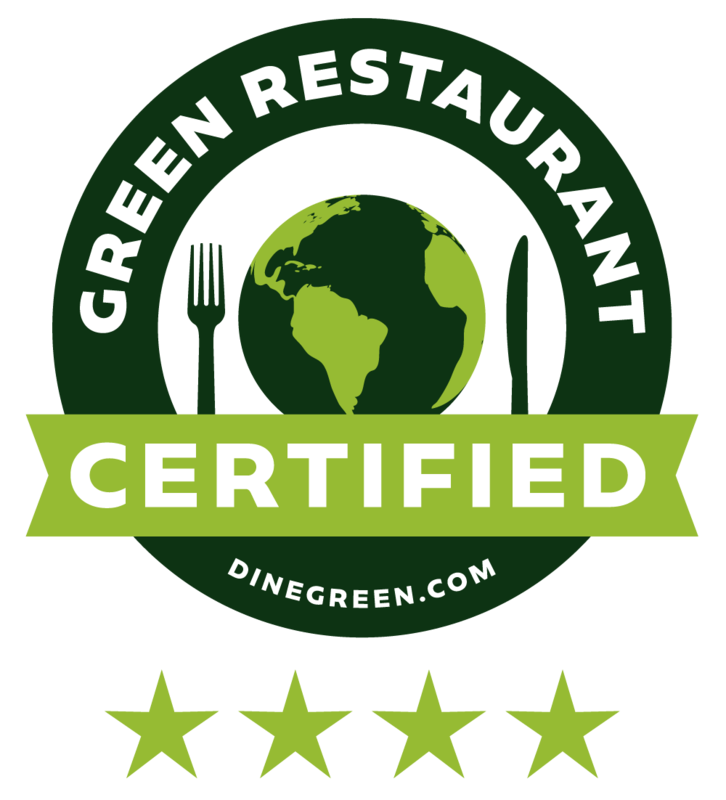 In August 2011, the Mammoth Hotel Dining Room became certified by the Green Restaurant Association. 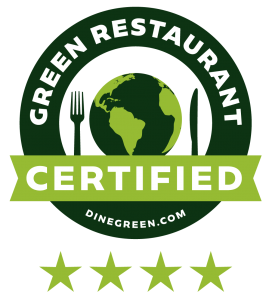 The GRA is a national non-profit organization that provides a cost-effective way for restaurants to demonstrate their commitment to environmental sustainability. The Mammoth Dining Room is Xanterra’s first certified green restaurant, and with a 4-Star rating (out of a possible 4-Stars), is the FIRST 4-Star certified restaurant in Wyoming and our National Park System, and one of only 25 in the country. To achieve certification, restaurants must address critical areas that include: Energy, Food, Water, Waste, Disposables, Chemicals and Pollution Reduction, and Furnishings and Building Materials. To achieve it’s 4-Star certification, the Dining Room demonstrated sustainable operations through a major restroom remodel, installation of energy-saving LED lamps and water-saving fixtures, sourcing of local and organic cuisine, recycling and composting restaurant waste, and using environmentally-preferable cleaning products. Dinner reservations are not accepted during the summer season. Dinner is first come, first seated. Dinner reservations for winter season are required and can be made by calling our reservations at 307-344-7311 or by using our online request form. Breakfast Buffet/Continental Breakfast 6:30 A.M. – 10:00 A.M.
Get more information and join us during one of our Winter Special Dining Events being held at Mammoth Hot Springs on our special events page. In addition to the Mammoth Hotel Dining Room there is another option to enjoy a meal while visiting the Mammoth area of Yellowstone National Park during the summer. Visit the Terrace Grill.